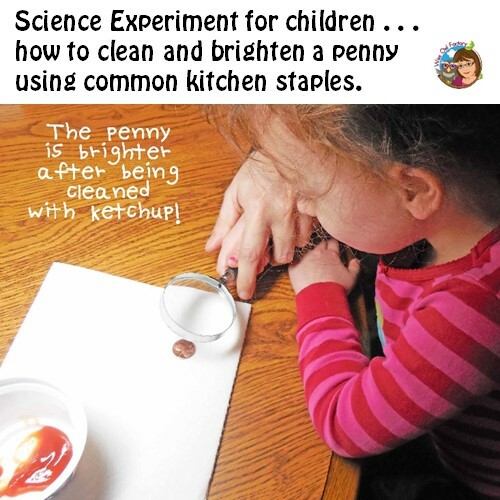 This post is about a penny cleaning science experiment using kitchen staples. 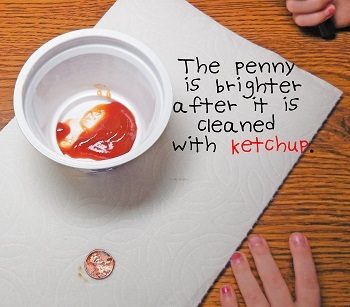 Did you know things like ketchup, salt, vinegar, and lemon juice will clean and brighten pennies? 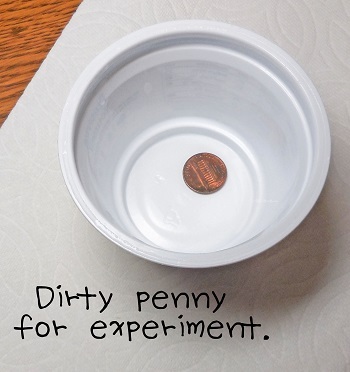 If you pennies are all bright and shiny, you can keep them in water overnight to allow them to darken for this experiment. Warning, children might like to do this over and over! First, start with a dirty penny. These are highly available! If you have none, start a collection when you get change from shopping. We tried ketchup first. 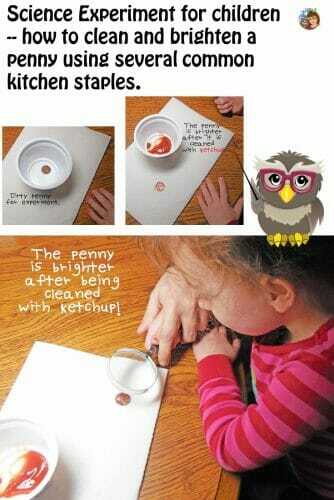 Then “wash” the penny with ketchup. This can be accomplished without touching the penny by putting it in a paper towel, folding the towel over, and then rubbing the two sides together over the penny. Using ketchup requires more elbow grease than some of the other options. Then carefully observe with a magnifying lens. This can actually be done before and after cleaning the penny. We tried placing fruit slices on pennies for awhile and returning in about an hour. The lime slice worked the best with this method. We did not have to rub the lime juice. Actually, just leaving a penny in one of the proven methods to clean it will work if some time can be allowed. 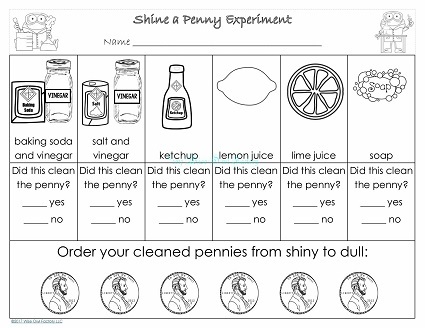 You might also like our dancing dime experiment and video, as well as a penny observation page included in the Abe Lincoln’s Hat free printable. 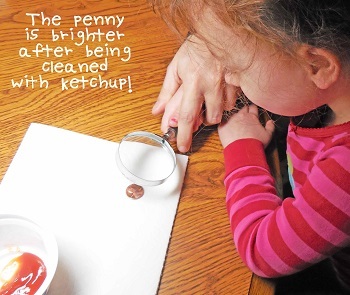 The penny page in the Abe Lincoln’s Hat free PDF explains how to use a magnifying lens. 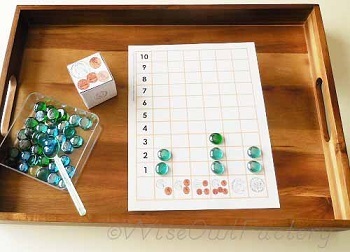 The 1-10 and 11-20 activities printables include easy coin graphing as well. 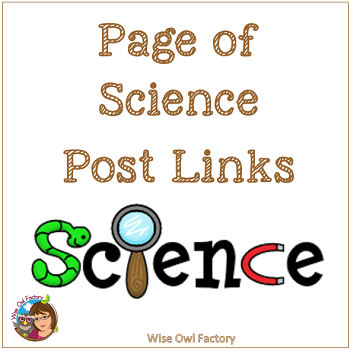 You might also like the science page for teachers and parents.